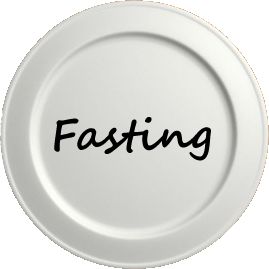 Fasting is part and parcel of the practices of many religions including, Islam, Judaism and Christianity. Today many are trying to dig up the benefits of fasting. Some people fast for spiritual reasons while others fast as a way to physically discipline the body. Whatever reasons one might come up with, it has been scientifically proved that fasting has tremendous health benefits. First, fasting is said to play an important role in the detoxification of the body. Detoxification is a normal body process of eliminating or neutralizing toxins through the colon, liver, kidneys, lungs, lymph glands, and skin. This process starts when fasting. Food no longer enters the body and the latter turns to fat reserves for energy. These fat reserves were created when excess glucose and carbohydrates were not used for energy or growth, not excreted, and therefore converted into fat. When the fat reserves are used for energy during a fast, it releases the chemicals from the fatty acids into the system which are then eliminated through the body organs, leading to the cleansing of the whole body. An other known benefit of fasting is the healing process that is obvious in the body during a fast. When fasting energy is diverted away from the digestive system due to its lack of use and towards the metabolism and immune system. The healing process during a fast is made easy by the body's search for energy sources. Abnormal growths within the body, tumors and the like, do not have the full support of the body's supplies and therefore are more susceptible to disappear. Fasting also leads to a feeling of rejuvenation and extended life expectancy. This might be due to the detoxification effect of fasting. A study was performed on earthworms that showed the extension of life thanks to fasting. The experiment was performed in the 1930s by isolating one worm and putting it on a cycle of fasting and feeding. The isolated worm outlived the other worms by 19 generations, while still maintaining its freshness and youthful physiological characteristics. Links: Fasting and cancer treatment. People fast for only spiritual reasons. One of the benefits of fasting is the disintoxication of the body. The body turns to the fat reserves for energy when fasting. The experiment on worms was undertaken to prove that fasting leads to the detoxification of the body.